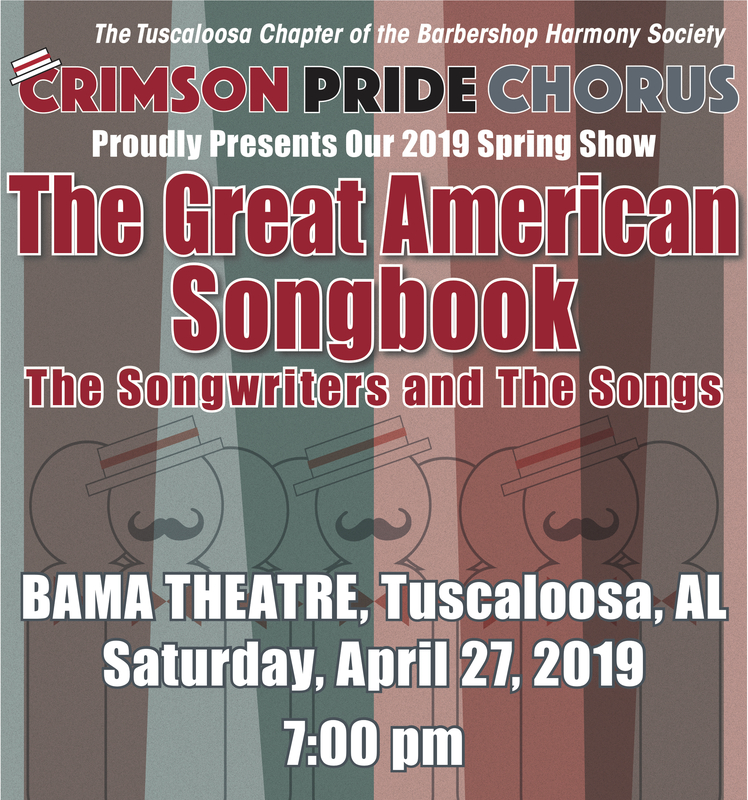 The Crimson Pride chorus will present its Spring Show "The Great American Songbook". This year we will take you on an American journey of song. The show will be at the Bama Theatre in Tuscaloosa and will highlight songs with an American background. The music will span many decades and is sure to entertain you the entire evening. This 30 member chapter is a championship chorus who loves to perform acapella music for entertainment. We are a member of the Barbershop Harmony Society and as such, the primary genre of our songs are in the barbershop style - both traditional and contemporary arrangements. The chorus performs two shows per year as well as competing with other championship choruses twice each year. The chorus is open to any male that loves to sing and desires to be a part of a chapter that is not only a winner, but has fun doing what we do!